Razzle Dazzle Rose: Burlap, Lace and Twine……a match made in heaven! 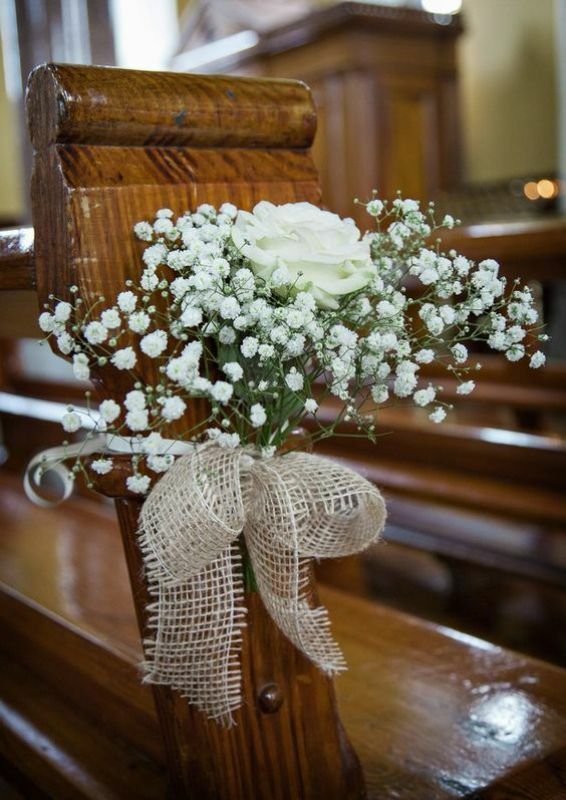 Burlap, Lace and Twine……a match made in heaven! Today on the blog we are celebrating the wonderful combination of burlap, lace and natural twine. 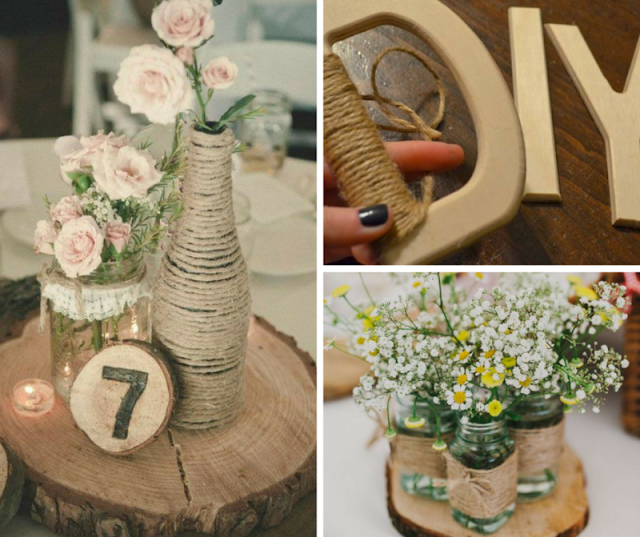 They can form an integral part when creating a Rustic themed wedding and we have chosen some of our favourite ways to incorporate them into your special day. 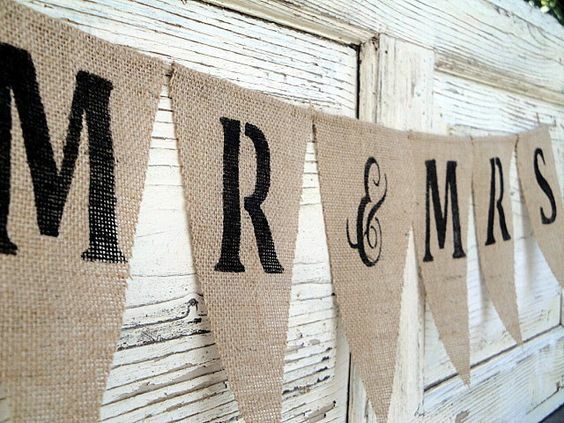 Wedding stationery can easily be given a ‘rustic look’ by simply adding a band of burlap ribbon around the middle and layered with a length of brown twine or lace ribbon, tied in a simple bow. 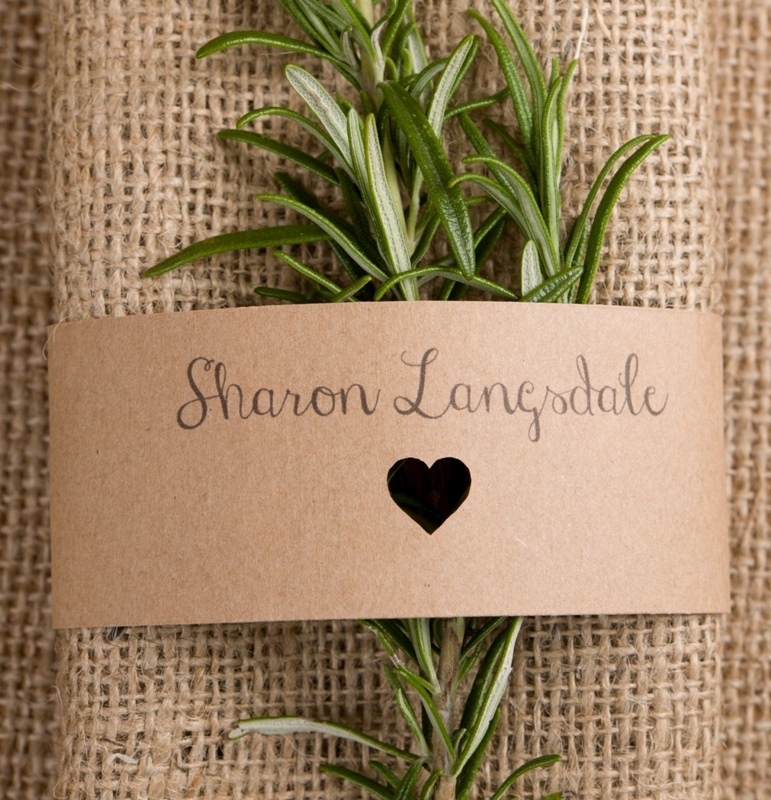 Here are a few different ideas for using burlap, lace and twine in a rustic wedding theme. Brown kraft stationery sits very well with a rustic look, here we have added a kraft ring to a burlap napkin, with a sprig of foliage slotted in it looks gorgeous. 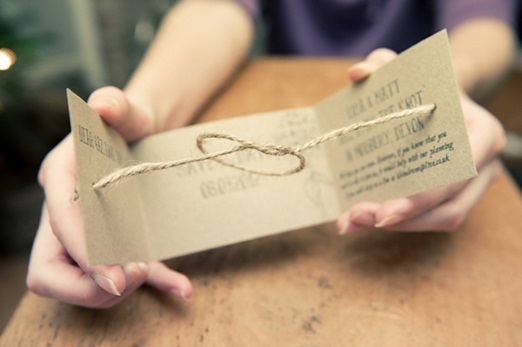 We love this idea for Save the Date stationery – literally tying the knot! 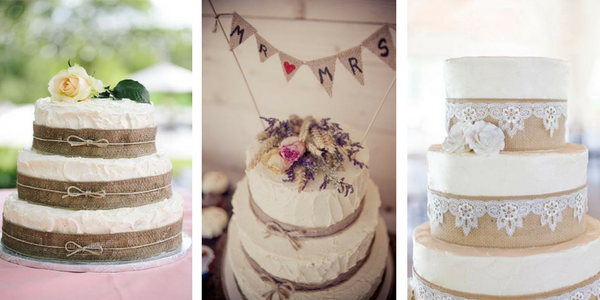 We’ve found some beautiful wedding cake images on Pinterest which show how a length of burlap can immediately add a rustic vibe to the all important cake, here are some of our favourites. We love the cake topper on the middle image! 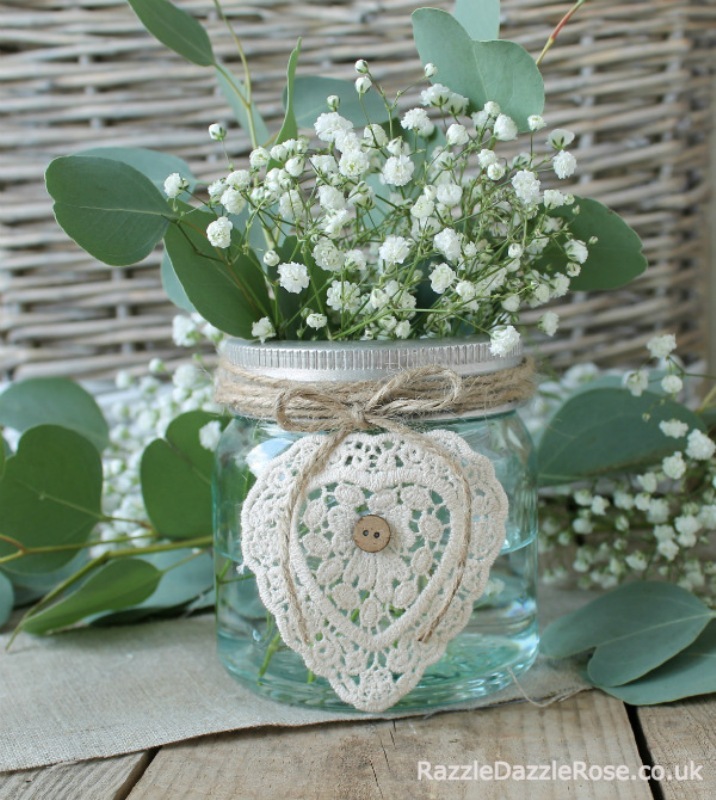 You can really go to town with all the little accessories using burlap, lace and twine, these little crochet hearts can be used in various ways – we have used one below tied onto a pretty glass jar for a table centerpiece. The versatile little crochet hearts from us at Razzle Dazzle Rose have been used here to create your own, pretty DIY bunting. Natural Burlap ribbon from us here at Razzle Dazzle Rose come in a 38mm width and has a wired edge. 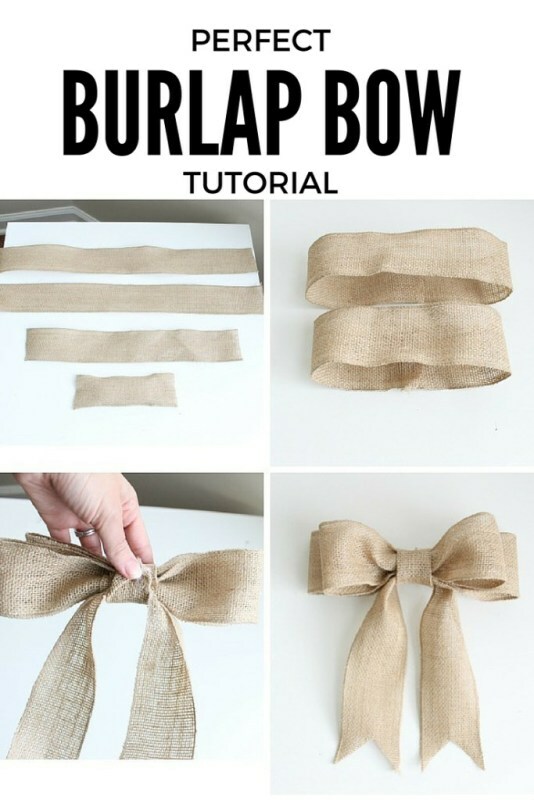 This makes it perfect for making bows as it holds its shape really well. Follow this tutorial from MommySuite to learn how to make this double bow. If you prefer not to have a wired edge to the ribbon and would like to fray the edges just take a pair of sharp scissors and cut all along the wired edge of the ribbon to remove it. Then just pull away two or three threads from each edge to make a frayed edge as seen in this beautiful flower arrangement below. 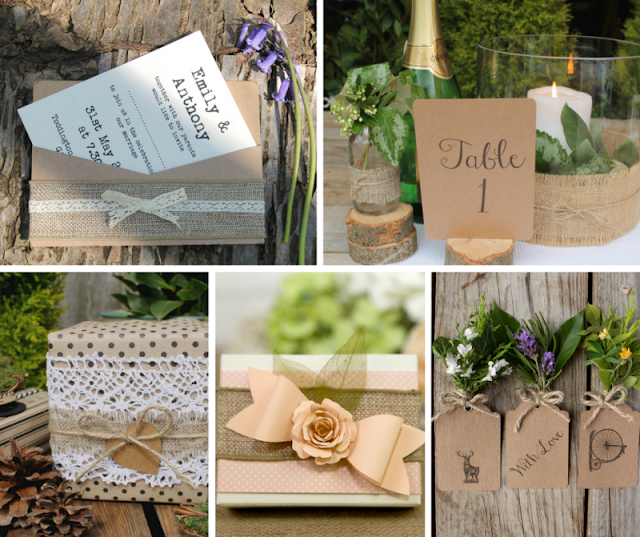 Here are a few of our favourite wedding ideas for using natural brown twine…. on Pinterest. We hope you have enjoyed our blog!